Like the first sprouts of spring coming out of the dark cold winter, mint is the color of new life. In our longing for blue skies, sunlight and soft blossom filled breezes, mint is our collective sigh of relief that spring is finally here! By contrasting this fresh and airy color of mint with the solid, grounding effect that navy blue has, your spring look is bound to feel lighthearted and reliably cool at the same time. It's like bringing a blooming meadow together with the steadfast energy of the ocean for a stand-out style. Movement is essential this season. The more comfortable you are, the more you'll want to get out and enjoy life. An outfit that fits the flow of your day is essential. Playing around with the mint and navy theme, this maxi dress brings a little glow of gold to keep your look warm and inviting. 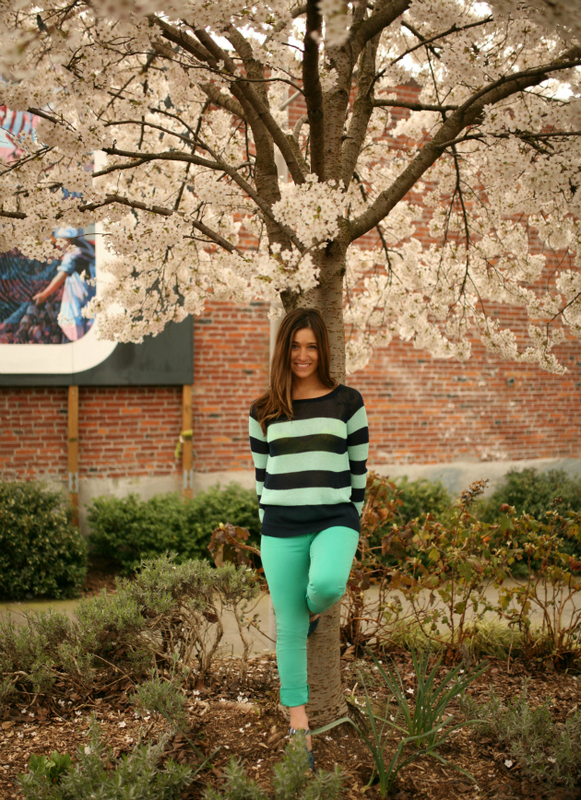 Bright skinny jeans paired with this strikingly striped pullover will have an uplifting effect. 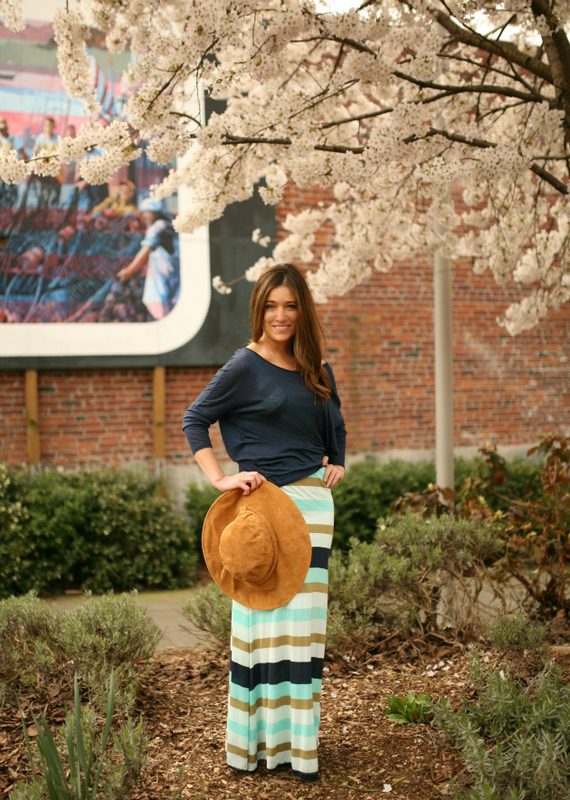 This is an easily accessible look that with inspire you to smile a little extra. Add to that some sprightly wedges in pretty blues and watch your outlook on life rise up. Remember: Spring just isn't the same without the flair that a color brings. 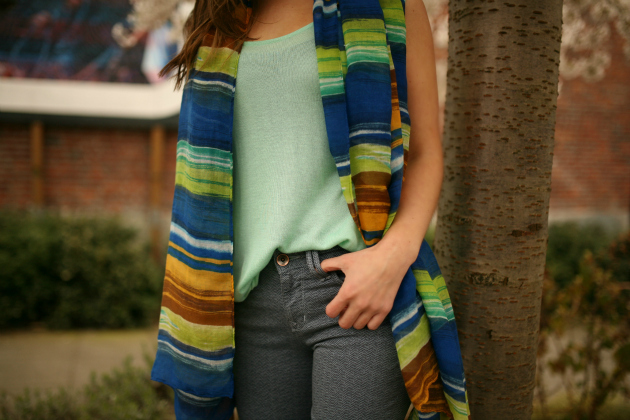 Scarves are a great way to quickly saturate your outfit. The array of color schemes that you can play with are endless and all have the potential to playfully personalize your look.